For brunch yesterday Matt came home for his lunch hour and we had fried eggs over leftover pulled pork with some BBQ sauce and it was very good. We headed to CrossFit and when we got home around 8 I wanted to make something pretty fast because we were starving. So I made up a quick recipe. These are really easy. 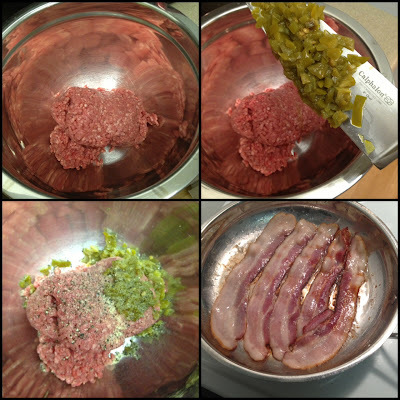 Start with chopping the jalepenos while the bacon cooks. 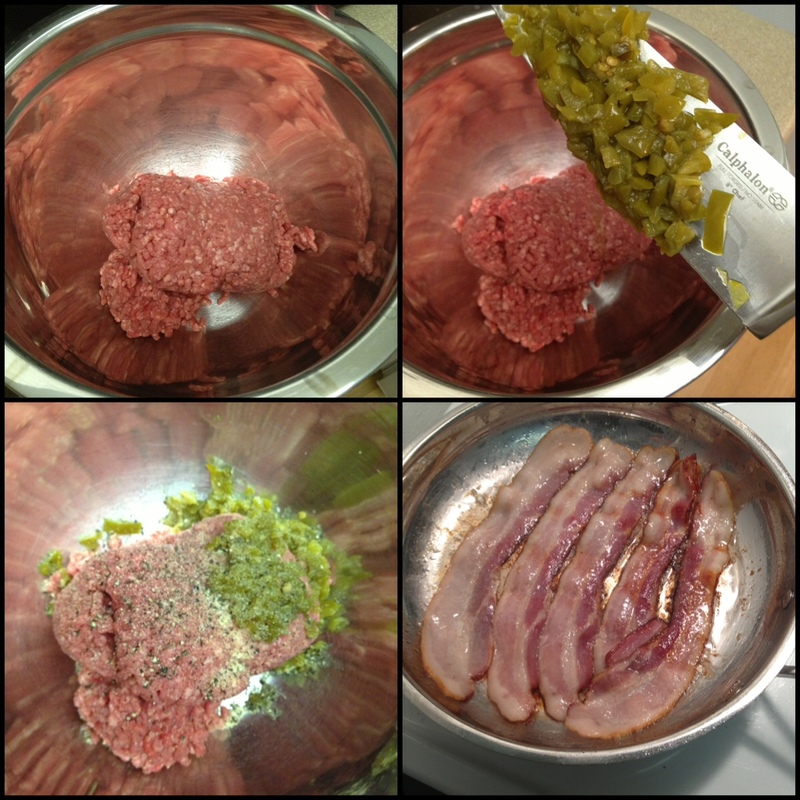 Add the bacon, spices, and honey in the ground beef and mix thoroughly with your hands. 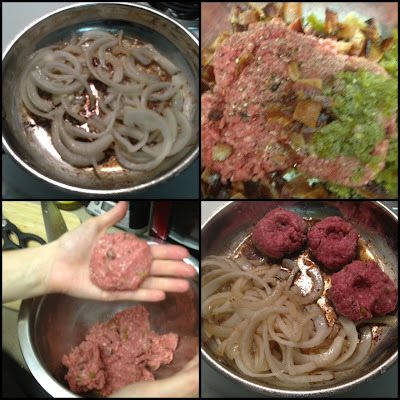 I made them into little patties and cooked them along with onions in the bacon grease until they were cooked. Then I added the caramelized onions over the patties and topped with avocados. 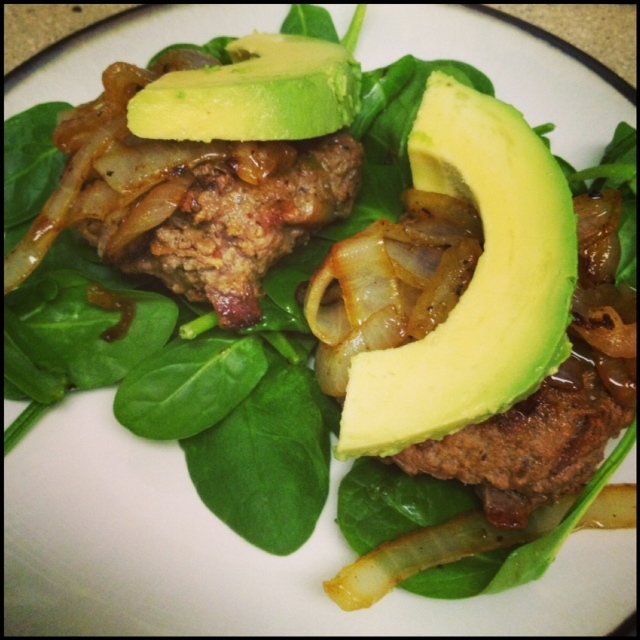 I served the burgers over a bed of spinach! 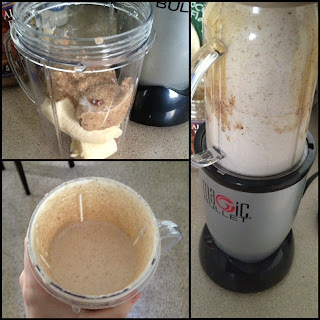 I woke up for breakfast today and did not feel like the same old eggs so I made a Paleo smoothie. I used my magic bullet that I got a year ago and just figured out how to use it!!! I just threw all of this in the magic bullet and mixed it up!